Custody and Visitation * Divorce * Criminal Law * DCFS & Juvenile Law * Orders of Protection * Expungement * Adoption – We don’t judge. We understand. We solve! Facing a divorce is stressful, overwhelming and confusing, Our legal team led by attorney Joseph M. Borsberry will work with you to develop a plan for success! Here at Borsberry Law Offices, we understand the importance of the custody and visitation of your children. We will fight for your parental rights! When you find yourself being questioned by police about criminal acts that have taken place, your first call should be to Borsberry Law Offices at 309-637-9000! Being investigated by DCFS for a juvenile matter is serious. Don’t talk to anyone about anything until you secure legal representation from Borsberry Law Office! Custody and visitation disputes are stressful. 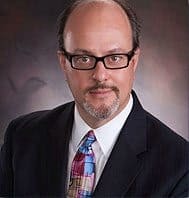 When facing a life-altering situation, such as a Peoria divorce, a custody battle or seeking visitation with your child, you need an experienced team that knows you,..
Can I represent myself in a divorce case? Highly recommend this office!! Entire staff is great!